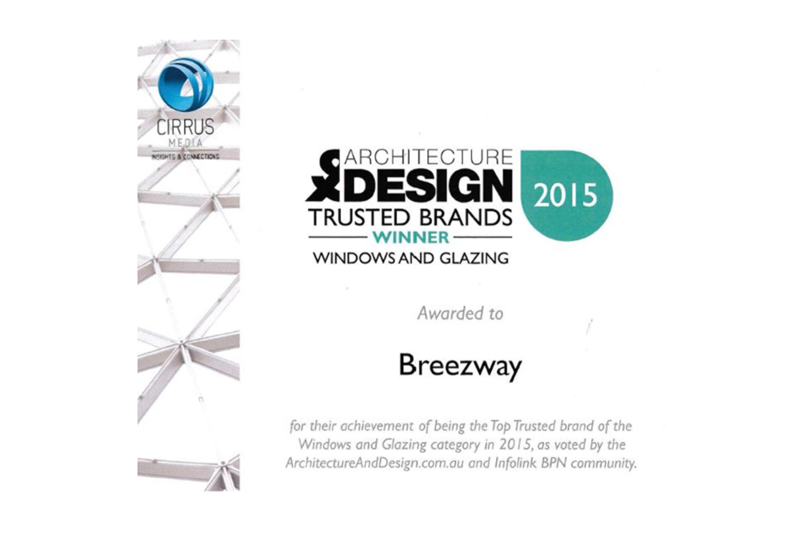 Breezway was recently voted 2015 Category Winner for ‘Windows and Glazing’ and came in at number 40 for this year’s Architecture & Design Top 100 Trusted Brands survey. Brands voted as the Top 100 have been recognised by specifiers as preferred brands. The poll aims to rank the trustworthiness of brands and showcase them within the industry. There were up to 500 brands nominated and Architecture & Design received over 4,000 votes so the results for Breezway were a fantastic achievement. Breezway would like to say a big thank you to everyone who voted for our brand. We appreciate your continued, valued support and will endeavour to maintain this high level of service and products to customers.